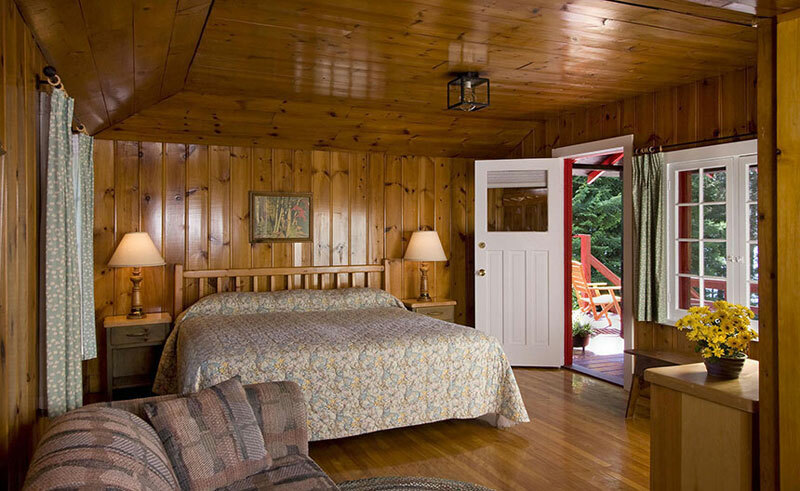 Killarney Lodge is located on a peninsula surrounded by the Lake of Two Rivers, in the heart of Algonquin Park, among some of Canada’s most beautiful and pristine wilderness. 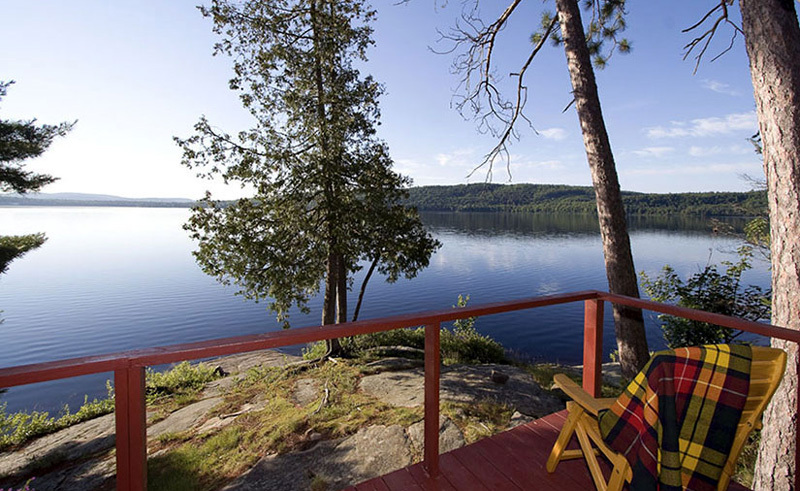 Enjoy moose spotting, hiking and bike trails, or just relax on your deck and take in an Algonquin sunset. 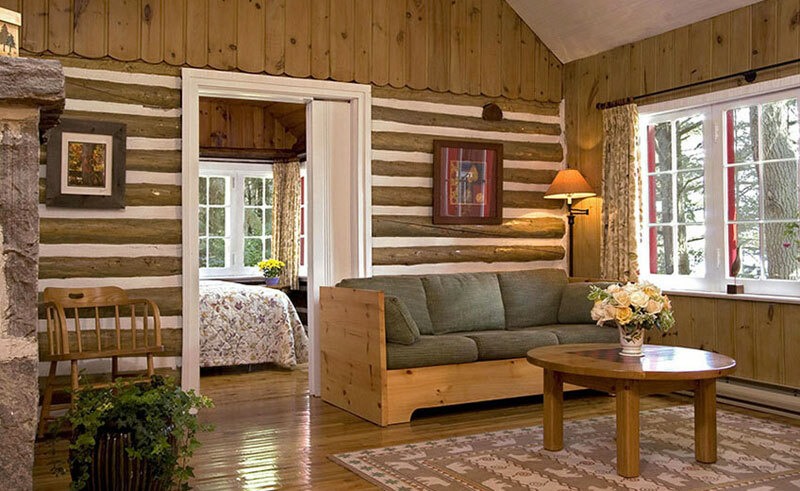 Comfortable private waterside cabins are decorated in a charming Canadian country style. Each of the 25 cabins overlooks the water and includes the use of a canoe, which waits just outside your door. The cabins also feature a spacious lounge with log stove, with either king, two singles or queen bed plus sofa bed and a full bathroom with Aveda amenities. Included in your stay is breakfast, lunch and dinner and available daily in the guest lounge is tea, coffee, fresh fruit and snacks. Please note the restaurant is not licensed however guests are free to bring their own wine or spirits. Observe moose, beaver, fox, loons, turtles, deer, ducks and other wildlife in their natural environment – be sure to bring your camera and binoculars! Take a short paddle ride, or set off for a day long adventure by canoe with a delicious packed lunch.